Have a most excellent weekend -- a Happy Easter and Earth Day! Cute collage! Glad you took a spur of moment road trip...I bet the warm weather was nice. I'm so over this cold stuff! Hope you have a happy easter weekend! So adorable! I love easter because everything involving it is just so darn cute! I hope you have a happy Easter and Earth Day as well! 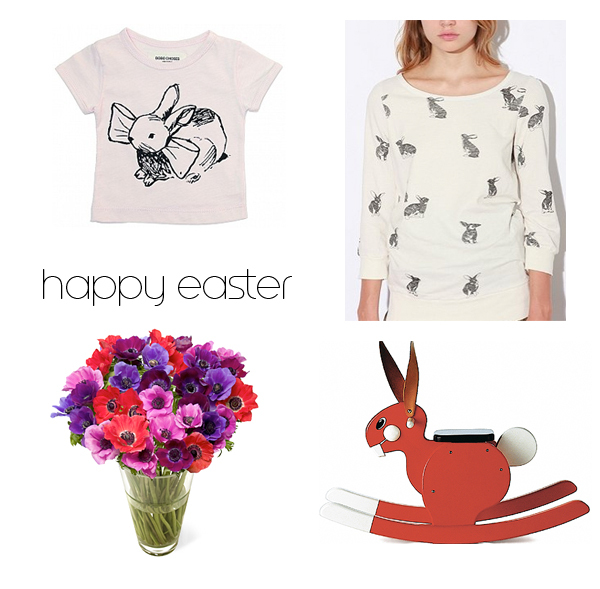 love the child's bunny shirt! Very cute, thanks for sharing. I love your collage! I want the bunny sweatshirt for myself!